PCCN Review Course (2019) - Lectures & 3000+ Questions - PASS Guaranteed!! The PCCN Review Course Bundle Is An All-Inclusive Online Review Program That Includes - Online Lectures - 3000+ Practice Questions & 70 CEU's!! The PCCN Review Course Bundle Includes All 3 Courses (PCCN Predictor Exam, Question Bank & Online Review Course) For One Low Price - After Registration!! The PCCN Review & Practice Questions Encompasses - Cardiac, Neuro, Pulmonary, GI/Renal, Endocrine, Hematology, Psych & Multisystem!! 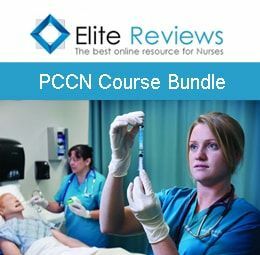 The PCCN Review Course Bundle Provides A Great Opportunity For Those Nurses Looking To Save Money But Not Compromise On The Material Needed To Pass The PCCN Exam!! The PCCN Review Course Bundle Reflects The Most Recent (2019) PCCN Exam Updates As Well As Over 3000 Online Practice Questions & 70 CEU's!! This Course Includes The PCCN Predictor Exam, Question Bank and Online Review Course For 90, 120 or 150 Days After Registration. Click On The Lectures & Exams Tabs For More Details - Or - Course Demo Tab For Sample Practice Questions!! Guaranteed To Pass On The First Attempt or Retake This Course At No Additional Charge. The PCCN Review Course includes the most current PCCN exam content in lecture format. For the sake of continuity - the PCCN Review Course has been divided into 4 parts. Each part contains the various lectures that you must review in order to be successful on the PCCN National Exam. Just as with the actual PCCN certification exam, you willl have 2.5 hours in which to complete the 125-question exam. We have chosen a mix of questions that reflects AACNs most recent blueprint for the PCCN exam. The PCCN Predictor Exam is included in the purchase of the PCCN Review Course Bundle!! The PCCN Question Bank is included in the purchase of the PCCN Review Course Bundle!! The PCCN Review Course includes over 2000+ practice questions and covers the most current PCCN National Exam. There are 4 parts to the PCCN Review Course. Each part not only contains lecture content, but also contains the corresponding practice questions/exam for that main subject area. The PCCN Online Review Course is included in the purchase of the PCCN Review Course Bundle!! You must take the PCCN Certification Exam within 12 weeks of purchasing this course. Should you fail the actual exam, you will be allowed to repeat the online review.ONE TIME within 6 Months of the original purchase date. You must complete the entire online review course which includes all of the Lectured Series and pass all online Exams�with an 80% or better. You will not have to read all of the slides, just click the play button, and the computer will do the rest!! !